Purchasing a wall oven may seem difficult, but it really isn’t. It is easier to look for one if you can build your kitchen around your appliances as opposed to looking for a replacement oven. 95% of all wall ovens today are 30 inches in width. Most wall ovens are electric. 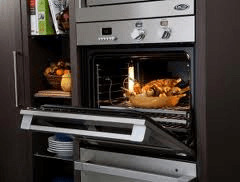 When buying a wall oven you should note that features become a standard rather quickly. Similar to the car industry. Double wall ovens all have one oven for convection cooking and a decent control package. Thermador, DCS, and Electrolux all share these similar attributes. The best way to purchase kitchen appliances is through buying a package, since most manufactuers offer a big savings with rebates when doing so. 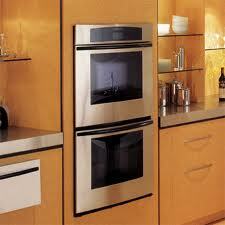 Frigidaire wall ovens have a great price and are quite efficient. 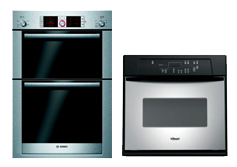 Electrolux wall ovens have a trendy look and are more expensive than lower end models. 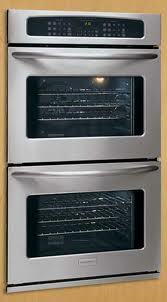 Thermador wall ovens look great and are considered high end. 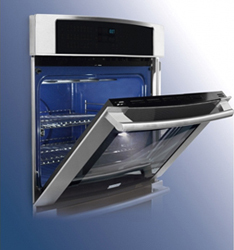 DCS wall ovens are the top of the line and the price will suggest that.